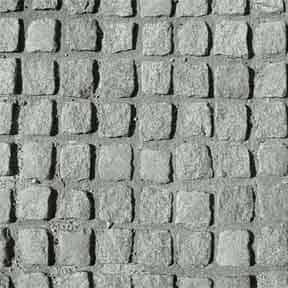 Stamped concrete driveway appears similar to look of cobblestones. 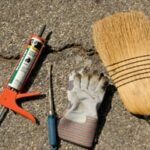 If your driveway needs more than a few minor repairs but you don’t need an entirely new driveway, perhaps a makeover will do. A driveway makeover could be as simple as laying down a fresh layer of asphalt or as advanced as stamping realistic paver patterns into a brand-new bed of concrete. If you’d like to think beyond basic asphalt and concrete, you have many options. Stone, brick, and gravel, widely used for patios, also add a touch of class to driveways. But even concrete can be interesting. Many professional contractors now offer specialty treatments such as concrete engraving, coloring, and staining. 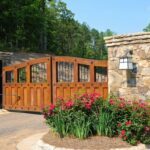 While these alternative materials and custom effects can be costly, they are a sure-fire way to add to the value of your home. Most require a professional driveway contractor. By using professional concrete stains, you can give delightful finishes to a driveway that’s in good condition. 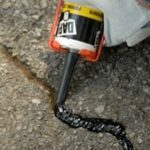 Your contractor will first scour your driveway to cleanse it of grease and oil. Next, he will apply an acidic substance to the concrete, creating a permeable surface to absorb the stain. Effects range from the polished appearance of stone to faux finishes similar to those created using sponges or brushes. Stamping and tooling are other ways of achieving faux stone effects with concrete. 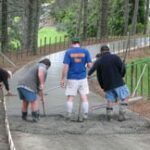 With these methods, however, you will need to either blanket your old driveway with a thin layer of polymer-enhanced concrete or pour an entirely new surface. Contractors then stamp the concrete before it has set (it is a good idea to be present during this phase to give feedback) and then stain it to create looks resembling everything from pavers to flagstone. You may want to draw out the pattern you are looking for before work begins so your contractor understands your expectations. You can also engrave or cut patterns into a new concrete slab. With cut patterns, a concrete saw and straightedge break up the driveway into playful random shapes or ordered geometric sections. Paints and stains can then be applied to create bold, modern looks or whimsical styles. A more subtle effect can be achieved through engraving, in which special tools create superficial, winding grooves that mimic the appearance of grout lines. This adds textural interest and breaks up the visual tedium of long driveways. The most dependable way to dye new concrete is to combine coloring agent with dry concrete before adding water to the mixture. Another method entails lightly coating still-wet concrete with colorant. First, approximately two-thirds of the colorant is applied to the concrete, and the surface is floated. Then the remaining colorant is applied, and the surface is again floated and, finally, finished with a broom or steel trowel. The casual, pebbly look of some driveways is the result of the seed aggregate technique. Professionals shovel on a layer of aggregate, which is comprised of small stones, shortly after the water that floats to the top of the freshly laid concrete driveway has evaporated. Using a float, they then press the rocks down just beneath the surface. Once the concrete begins to set, a gentle spray of water is applied and the surface is swept to reveal the tops of the stones. As a final step, muriatic acid is applied to ensure that the stones appear clean and shiny. Depending on the treatment, the size of the project, and your location, cost varies widely. For a stamped concrete pathway that looks like brick or stone, for example, you’re likely to pay from $6 to $8 per square foot.